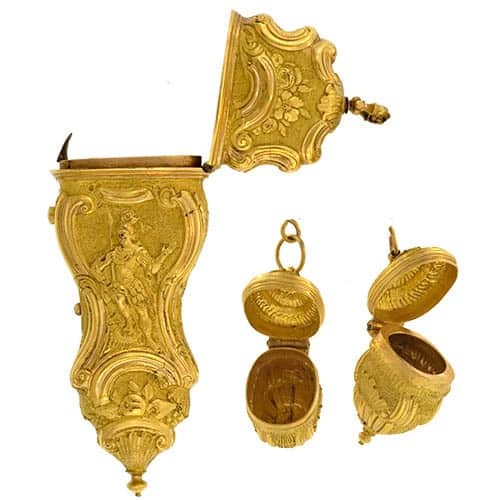 An étui is a small case that contains miniature implements used to perform household tasks. Designed primarily for women, they can be quite ornamental and even whimsical. 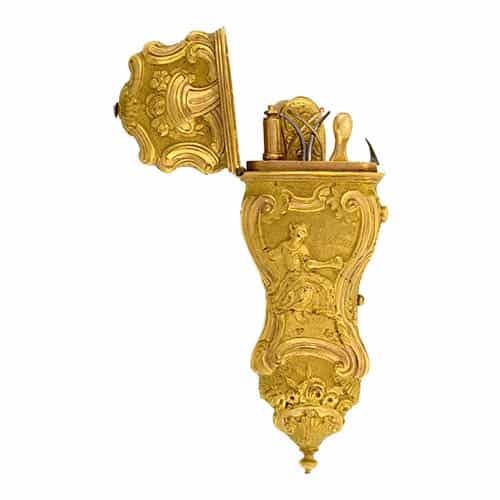 Often étui have a tapered or oval shape rendered in chased gold or silver gilt with émail peinture and rose-cut diamond sprays. 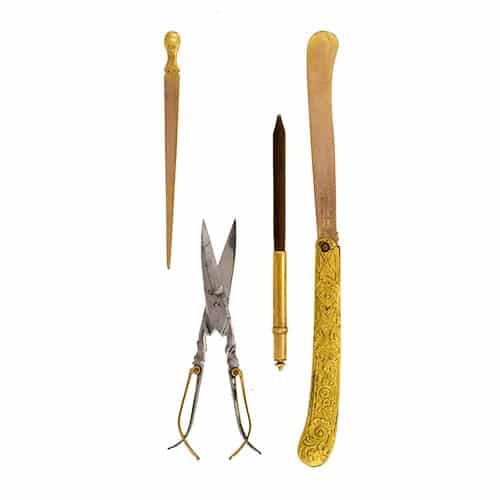 An étui would contain nécessaire items that could include: scissors, thimble, bodkin and needles, pencil, ivory writing tablet and a small knife. Men also carried a slightly more massive version of an étui which might hold a watch, keys and a seal. Women often suspended their étui from a châtelaine, usually on the opposite side from the watch to provide balance. Along with the Étui, Pomanders are a Common Sight on Châtelaines.